It’s that time again, summer is on it’s last leg, taunting us with it’s promise of hot coffee and chunky socks. We are so ready. 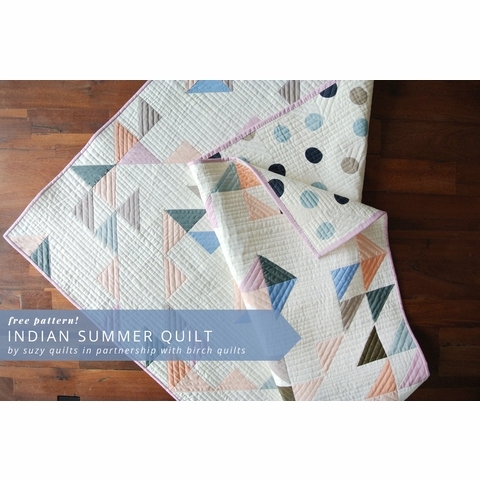 So in celebration of this, Birch Quilts has partnered yet again with our favorite quilt gal, Suzy Williams of Suzy Quilts to give you the Indian Summer Quilt Pattern. We wanted a way to show off Birch's latest colors of solid poplin; Periwinkle, Peachy, Slate, Timber, mixed together with some oldies but goodies Shell, Mineral, and Shroom. 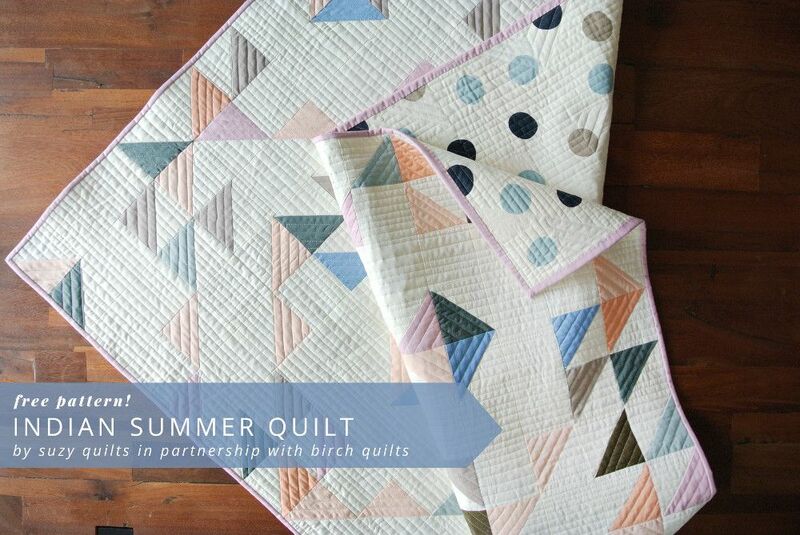 What comes out of Suzy’s Quilty brain is nothing less than amazing!